Are you looking to lease a new space or buy a commercial property? 5. Review the terms of the lease. Once you’ve found a property that’s right for your company, request a copy of the lease and take some time to thoroughly review it. You will want to make sure you understand its terms and limitations. What does the lease cover, and what does it not? What building maintenance will your company need to perform, if any? What are the true costs to occupy the space and what are your total liabilities? Will you have the ability to sublease to another tenant should your company need to relocate while still under the lease? Relocating to a new office space marks an exciting yet potentially stressful time for any growing business. It’s a chance to energize your workforce, attract new customers, and propel your business to the next level. But the success of your move depends on many factors, including the location and functionality of the commercial property for lease. A relocation can help a business scale, offering it the opportunity to expand its workforce and reach more customers, or it can bring that growth to a screeching halt, pushing employees out and driving customers away. Finding the right commercial property to lease for your growing business is no easy task, but with patience and research, you can find the right property to take your business to the next level. 6 Tips for Finding the Right Commercial Property for Lease. 1. Make a list of your options. 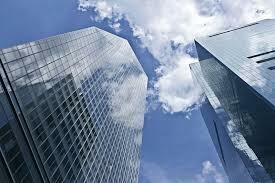 Make a list of all the features you want in a commercial property and rank them in order of importance. Consider your business’s goals, employees, and customers when determining the type of property, you need. Avoid the temptation to lease a property simply because it is new, big, modern or simply the least expensive. Make sure the property will keep your customers buying and your employees working hard. Often times your employees will know more about what makes a positive working environment for them than you will. Distribute an employee survey at the beginning of your search process, asking your employees for feedback as to what they value most in a workspace or office location. Or, if appropriate, take a few employees with you when you visit each property so that you can get their first-hand impressions of the property. How does the property compare to rental rates for other comparable commercial properties in the area? By what percentage have leases in the area increased over the last three to five years? Can you negotiate a set rate for the next few years? Talk to other tenants in the same building or shopping center and ask about any problems with the property manager.